That above section is quite related to knowledge development plan. Apart from that, the learner has described staff learning process and employee monitoring and performance monitoring process for any organization. The aim of the assessment is to develop a perfect knowledge management planning for the students of The Naja Group of College. 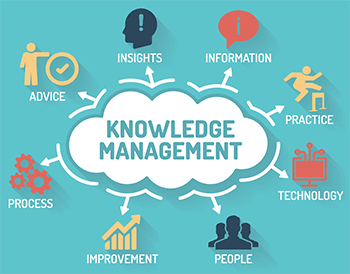 The knowledge management processes maximize the valuable knowledge assets through the different process such as collaboration, discussions and knowledge sharing. Apart from that, the knowledge management process includes the generation codification for developing tacit knowledge explicit which is quite similar to the database, rules and procedures. On another hand the knowledge management process also improves the application, storing, mapping, sharing and transfer. 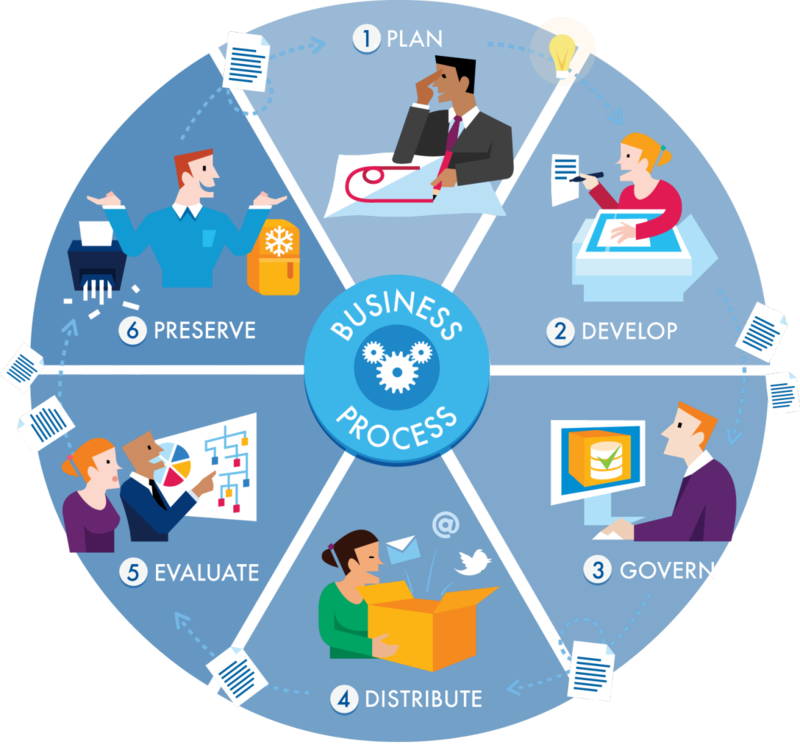 It has been observed that knowledge management process will make the thing easier in the business. It has been observed that information management system helps to improve information storing, database management, mapping, sharing and transfer the files of customers. Therefore the customer care executives can handle the old data of the customers and serve them as well. Knowledge creation refers to the formation of new ideas through interactions between explicit and tactic knowledge in individual human minds. The knowledge creation is based on socialization, externalization, combination and internationalization. After observing the knowledge creation process, the employees can understand the different perspective of the organization such as business concept, financial features, financial requirements, current business position and major achievements. As a business owner or manager or expert, they want to encourage the staffs by sharing their knowledge. However, the training expert can share his or her personal experience to increase the knowledge level of the students. The information of the learner should be relevant to a subject such as business development, management, managing the human resource in any organization, issues that they have faced during professional career. The knowledge quality, experience level and presentation technique have increased the efficiency of the knowledge among the stakeholders such as students, employees and trainees. The tangible knowledge is considered as explicit knowledge of subjects such as knowledge of net programming and software testing which are directly connected with revenue, efficiencies and profit of the organization. On another hand, the intangible knowledge is considered as tactic knowledge, knowledge on the process, knowledge about dealing process of the employees in a typical situation. It has been observed that the typical situation has been created by the client, situation, process of job and attitude of the client. However, the impact of intangible knowledge process value is huge in any organization. As a human resource management or team leader, it is difficult to understand correct training process for the employees. Therefore the HR executives or team leaders have to understand the training and development required for the employees. In order to understand correct training process, the human resource management critically reviews the job description of the employees. Sometimes the HR department or team leader arrange a meeting with employees and evaluate their performance. The HR executives have critically observed the team performance and technical issues faced by the team members. The HR managers have gathered additional data such as enlisted some employees’ name who have lack of knowledge on a particular topic. After that, they have implemented the screening process and selected those employees who require particular training session on a particular topic. Finally, the training department appointed a trainer who determines the action steps of training. As a human resource management executive, my duty is to understand knowledge level of the employees. After identifying proper training and development process, the HR executives send those employees to the training department. The training department assigns a trainer to conduct a training session for the selected employees. HR executive regularly studied about the knowledge level of the employees and review the performance quality. Apart from that HR executives often arrange a conversation program with the experts where the experts ask a various job-related question to the employees. Therefore the human resource management can understand the lack of knowledge in any particular area. It has been observed that employees have learned the key lesson from their work experience. The development of knowledge also influences their work efficiency, performance and behaviour. Therefore, there are some resource s in the knowledge management process such as cognitive resources, social resources, learning strategy of the organization and learning equipment. The trainers usually prefer audiovisual media for the training session. Apart from that the trainer generally takes help of electronic media such as a computer, internet, projectors, speakers, microphones, tablets and smartphones. Sometimes trainer implements the paper-based resources for designing or collecting data during a training period. The activity of the human resources runs the operation of the organization. The human resource management the human resources or employees to maintain better performance and balance between work pressure and workforce availability. The human resource management often arranges training session to increase the skill and knowledge level of the workforce. The organization has to maintain physical resources such as types of machinery and equipment. It has been observed that trainers use different equipment such as projectors, computers, tablets and smartphones to conduct audio-visual learning techniques for employees. It has been found that financial resources are also included in the training session. The training session is required financial resources such as fees of the trainers, equipment rent and others. Contingency is considered as a future event or circumstance that is possible but cannot predict with the certainty. As stated by Argote, 2012 there are many external stakeholders of an organization such as customers, shareholders, suppliers and business partners. It has been observed that sometimes unfortunate movement of the external stakeholders may create unpredictable contingencies of the organization. It has been found that organization has faced operation related risk such as enterprise risk, operational risk, financial risk, market risk, credit risk, quantitative risk, commodity risk, non-profit risk, currency risk, software and IT risk. Technical specialist provides experts view on the critical subjects or works. As an example, we can consider that an IT specialist provides technical support to the business or an organization’s employees. Apart from that the expert employees also trained non-technical employees for improving their technical knowledge. It has been observed that organization often planning a contingency plan to reduce the constraints in the market. Therefore, the managers have faced some issues during developing contingency planning such as the presence of similar marketing strategy of the competitors, same target market for other competitors, financial risk for contingency planning and the contingency plan is not efficient for attracting customers. It has been observed that marketing managers have developed contingency planning to avoid marketing risk. The contingency planning is similar to the actual marketing planning to some extent. The marketing managers have developed the contingency marketing planning after observing the existing marketing plan of competitors. If the contingency plan going wrong way the marketing managers quickly develop a supportive marketing plan and apply the new marketing plan for providing support to the organization. It has been noticed that managers often implement learning curve to understand the skill level, aptitude level and motivation of the employees sob that they can understand implementation issues. On the other hand, the managers have implemented productivity curve to understand the level of skills and experience of the employees before implement the new strategy. Creating awareness also considered as proper identification process for implementation issues. Through the monitoring process, the managers understand the special information which is poorly maintained or those data which are not shared between departments within the organization. System integration is considered as an information technology or engineering process which is concerned with joining different subsystems or components as one large system. It has been observed that system integration ensures each integrated subsystem functions which are required in the organization. It has been observed that the organization often choose information system to support the objectives and implemented strategies. Therefore, the managers regularly check the data to understand whether their implemented strategy can fulfil their commitment or hindering the implemented strategies. The managers of the organization have identified the requirement in the management system of others. After that, the management has implemented a new system and apply the new system for a small time period. During this period, the managers strictly monitor the implemented system and employee performance. During the monitoring process, the managers have made necessary changes and observe the results. After final implementation of the new strategy, the managers have monitored the organizational performance. If the organizational performance is improved when the manager monitored the profit level and benefit of the existing plans. The managers often conducted the monitoring and evaluation system in order to collect the consolidated sources of information which express the progress of the project. The monitoring and evaluation process also allows the actors to learn from each other’s experiences and increase knowledge of the employees. It has been noticed that monitoring and evaluation system also reveals the mistakes and offers paths for learning and improvements. The monitoring and evaluation system also help the human resource management to select the list of employees who are eligible for reward policy. Apart from that human resource management also monitors and evaluate employee performance to understand the growth of performance or decrease of performance of the employees for a certain period. The measuring process is divided into three different ways such as theoretical analysis, statistical data analysis and graphical analysis. The monitoring system is documented by the human resource management through the recording data system. The recorded data is stored in the cloud storage devices and computers. If the human resource managers have observed that performance graph is continuously growing upwards then the managers can understand that implemented plan is fulfilling the objectives. The performance measure is considered as an activity which ensures that the performance of the employees can fulfil the requirement of the organization. The human resource management often monitors and evaluate the performance of the employees based on work target and timescale. They have converted the employee performance into graphical form and understand the performance of the employees are going upward or downward. It has been observed that market research team has implemented two different data collection techniques such as qualitative and quantitative. The research and product development team has implemented the qualitative research process by conducting an interview with the managers of the other company. On another hand, they have conducted the quantitative data collection by conducting the survey process among the respondents such as customers, employees or any group of people (Dabbagh and Kitsantas, 2012, p.4). Key Performance Indicator (KPI) is considered as a business matric which is used to evaluate the factors which are crucial to the success of the organization. KPI is generally net revenue or a customer loyalty metric. It has been noticed that government can consider unemployment rates through KPI. Performance measurement is generally considered as a regular measurement of the output of the organization. The regular output generates reliable data about effectiveness and efficiency of the performance. The organization has considered the human resource, employee time and financial resource as a main input of the organization. After monitoring process and evaluation process, the managers have developed a report based on the performance improvement or performance decrease. Therefore this report expresses the efficiency and effectiveness of the system. The report structure is based on the issues of the organization and the experts also provide a necessary solution based on that report. It has been observed that the business plan of the organization is based on the goals of the organization. The marketing managers have identified the goals of the organization and develop different objectives. The reason for developing objectives is that the managers have to fulfil different small goals to achieve the desired goal of the organization. The objectives are nothing but a deviation of aim in a different part (Dabbagh and Kitsantas, 2012, p.4). The managers have selected strategic plan and selected desire aim for the organization. After that, the managers have divided the aim into small objectives. Therefore it will be easier to fulfil small objectives rather than a large goal. The planning and development managers have selected a goal based on the internal analysis. After that, they have broken the goal into small objectives. Therefore, the planning and development department has to implement a new strategic plan which will fulfil the objectives. The recommendation is one kind of solution to the identified issues. After observing the issues, the researcher has conducted the research based on primary and secondary data and provided the most suitable solution for the company which will reduce the issue of the organization in future. The recommendation should be submitted along with proper example which is quite related to the issues of the organization. Computer Operator: An operator is needed to possess a few traits such as good communication skill and inventive thinking. It would allow the company in remaining benefited because they can find and put the right solution during the time of necessity (Dabbagh and Kitsantas, 2012, p.4). Department Managers: The first and foremost criterion that is required for any department manager would be an ability to work in a team with a talent of giving motivation to his team members. Like an operator, he also needs to possess a good communication skill with the confidence of analysing sales figures (Von Krogh, 2012, p.154). The group has been divided into two numbers of which one group contains the operators whereas the other consists of department managers. In ‘The Naja Group of Colleges’ the two departments altogether composed of 100 employees of which the department managers are of 20 numbers whereas operators are 80 numbers. That is each of a group of 4 operators’ 1 manager is assigned who will be responsible for monitoring and evaluating the operator's performances. Financial Resources: Funding remains one of the primary elements of every business. Even a basic trading would be requiring a multitude in terms of start-up cost which will be including registering of his trade name, obtaining a line for business telephone and printing of cards. A financial resource can be received from many sources of which the easiest remains from the account of the company owner that is of self if it is a home business. Alternatively, credit lines and loans can get granted from a financial institution, relatives or friends. It can even be obtained from private investors (Rao, 2012). Physical Resources: Be it a retail operation or some small home business, all organizations are needed to consist of the appropriate physical resource for survival. Such would need to make the inclusion of a good workplace, active telephone lines, adequate systems of information and operational marketing materials. Department Managers: Apart from the educational qualification, for becoming a department manager the most important thing that is needed is showing enough competence on whatever they would be doing, committed to providing the right service to the customer, and need to be a good communicator and listener (Sein-Echaluce et al. 2013). Operators Goals/ Objectives: The operator will be performing troubleshooting activities for which often they might be called upon by the employees to resolve their computer related issues. They would be performing duties that would include data entering, providing assistance towards troubleshooting problems, installation of software and hardware and maintenance of company data (Hislop, 2013). For the operators, the required learning activity needs to have knowledge about the ‘Microsoft Office Products’ for example, PowerPoint, Excel and Word. The other skills include an understanding of network as well as typing in multi-user personal systems of the computer which offers more complication (Holsapple, 2013). For the department managers, certain companies might want the managers to be trained for apprenticeships or management courses where they might be in need of Level 3 qualification (Sein-Echaluce et al. 2013). A learning activity can have the best outcome and can put the biggest effect when it has been given properly. Monitoring and recording to find its consequence will best be achieved by giving a closer view to their training programmes. A good program obviously will be bringing the best ever result for their employees. So keeping a closer observation on what they are producing at the end of the day through their work will be counted (Sein-Echaluce et al. 2013). The mentioning of the performance management mostly implies employee review or performance appraisal. However, ‘performance management’ actually tells something other. Concentrating only on the form of ‘annual appraisal’ may lead to misunderstanding about the appreciation received from the manifold ‘performance management’ benefits (Rollett, 2012). Argote, L., 2012. Organizational learning: Creating, retaining and transferring knowledge. Springer Science & Business Media. Roy, R. ed., 2012. Industrial Knowledge Management: a micro-level approach. Springer Science & Business Media. Rollett, H., 2012. Knowledge management: Processes and technologies. Springer Science & Business Media. Holsapple, C. ed., 2013. Handbook on knowledge management 1: Knowledge matters (Vol. 1). Springer Science & Business Media. Hislop, D., 2013. Knowledge management in organizations: A critical introduction. Oxford University Press. Borghoff, U.M. and Pareschi, R. eds., 2013. Information technology for knowledge management. Springer Science & Business Media. Rezaei, B.A. and Muntz, A.H.Y.M., Netseer, Inc., 2013. System and method for context-based knowledge search, tagging, collaboration, management, and advertisement. U.S. Patent 8,380,721. Von Krogh, G., 2012. 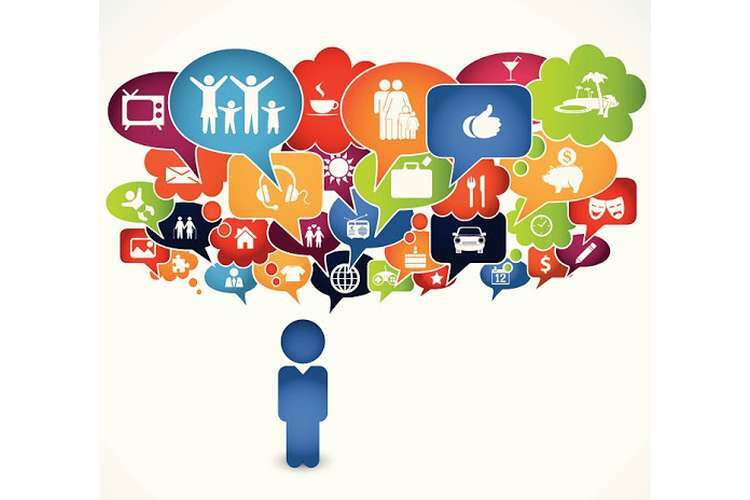 How does social software change knowledge management? Toward a strategic research agenda. The Journal of Strategic Information Systems, 21(2), pp.154-164. Silwattananusarn, T. and Tuamsuk, K., 2012. Data mining and its applications for knowledge management: a literature review from 2007 to 2012. arXiv preprint arXiv:1210.2872. Weske, M., 2012. Business process management architectures. In Business Process Management (pp. 333-371). Springer Berlin Heidelberg. Rao, M., 2012. Knowledge management tools and techniques. Routledge. Brodie, M.L. and Mylopoulos, J. eds., 2012. On knowledge base management systems: integrating artificial intelligence and database technologies. Springer Science & Business Media. Groff, T. and Jones, T., 2012. Introduction to knowledge management. Routledge. Marra, M., Ho, W. and Edwards, J.S., 2012. Supply chain knowledge management: A literature review. Expert systems with applications, 39(5), pp.6103-6110. Wu, W.W., 2012. Segmenting critical factors for successful knowledge management implementation using the fuzzy DEMATEL method. Applied Soft Computing, 12(1), pp.527-535.